Sometimes all you need to really make that formal gown pop is just a little bit of sparkle. 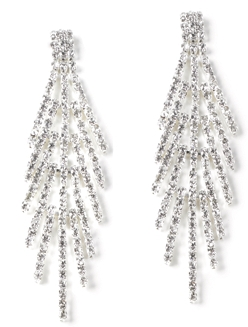 The spray earrings branch off the main cluster in a brilliant display of rhinestones. FWO Extra: These light weight earrings are 2 1/2 inches long and are pierced.